The groom speech is the most important speech at a wedding that is if the bride will not give a wedding speech. Women find it easy to prepare for a wedding, dress styles, maid of honor speech, shoes, decor and all. This is because they have a variety of information at their disposal on Google. For men, it is not the same. They have sparse and scanty information to work with and in some cases, what they see is not what they want or does not apply well to the situation. They will have to do the thinking of every detail from their end on how to make their big day spectacular amidst other activities. The audience wants to see the groom look at his wife and acknowledge her. This speech comes after all other wedding speeches and leaves some grooms a bit jittery and confused. What should the groom say in his speech? Well, below is a list to guide you on giving a great groom speech. Mention and appreciate every person and guests present for being parts of the wedding. Also, thank them for their presence as they witness your big day with you. Appreciate the father of the bride for accepting you into the family and mention what great job he’s done in raising your wife- with some humor. Mention how accommodating the bride’s family is and thank them for taking part in the wedding planning process. Appreciate your friends and family for being there every step of the way even up until the wedding day. Compliment the bridesmaids on how beautiful they look. Make reference to any sentence from the maid of honor speech, if any. Time to hail your groomsmen and best man. They were there all the way, especially your best man, your right-hand man. Through some witty lines, reference the best man speech traveled and had a good laugh. If we skip this, then the groom speech tips are incomplete. The wedding ceremony is more about the bride. There should be a groom wedding toast to the bride, telling her how much he loves her and how proud he is to be her husband. Brides would love this because the groom bares his emotions, acknowledging the bride with all sincerity. With tips to a great groom speech outlined, we will put down examples of speeches you can model yours after. As against the best man speech which focuses more on the groom, the speech of the groom is for everyone, his bride inclusive. 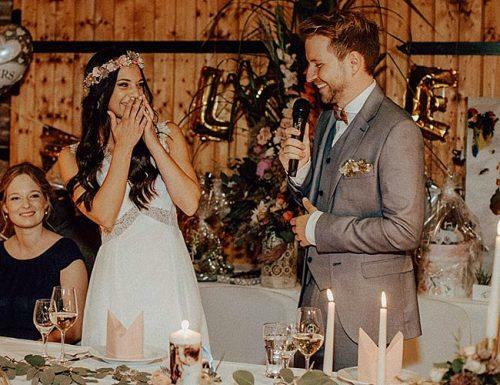 As a result, a groom speech is either light-hearted, funny or witty. It has no blueprint or strict rules but two elements are ever present regardless of what kind of speech it is – emotion and sincerity! It is a special day and a lot of people made the day possible. In his speech, he will thank everyone and even those absent. He will salute his new father in law, the bridesmaids, the maid of honor and even the bride’s mother. He will thank his groomsmen and especially his best man for holding him up all the way. The highlight of this speech is when he would make a wedding toast to his beloved, with so much love in his eyes thanking her for coming into his life. He’d tell his love story and show his optimism and willingness to be her husband. My speech today will be like a mini-skirt. Long enough to cover the essentials and short enough to hold your attention. Apparently, it’s my job to do all the thank you’s, so on behalf of my lovely new wife and I, the biggest thank-you goes to all of you for coming. The day would not have been the same without you and neither would my bank balance! But on a serious note, it is lovely to see so many of you here. Particularly those of you who have had to travel many miles. Amy and I would like to thank our parents for all the love and support both emotional and financial they have given us. That brings me onto our bridesmaids. Thank-you all for your help and for being there for Amy through the ups and downs of wedding planning! I’m sure everyone will agree that you all look stunning today. Nina, Laura, Charlotte, Kirsty, Fiona, Lillie, Jordan and Emily. Finally, I would personally like to thank my lovely wife, Amy, for having me as her husband! I read somewhere that “You don’t marry the person you can live with, you marry the person you cannot live without”. Well, we’ve lived together for five years and I know I’ve married the right person. I’m so glad I can at last call you my wife. Now all that remains is for me to say please enjoy the rest of the day…… and mine’s a foster! ………..Good evening ladies, gentlemen, family, and friends. First of all, I must say a big “thank you” to Colin for his kind words. His speech was so good, he’s going to do mine for me too. As many of you will know, I am of the shy retiring type that likes to keep quiet and keep my opinions to myself, therefore you can understand my nervousness at standing up here in front of all of you making a speech. And as many of you will also know, I’m also a compulsive liar, but I am still nervous, that bit is true. I have been fearful of this bit for weeks, and as you can imagine, this isn’t the first time today I have arisen from a warm seat with a piece of paper in my hand. I read while researching wedding speeches that a good speech has a good beginning and a good ending. But the best speech of all is one that keeps these close together. So I will try and keep this as short as possible and will try my best not to do a “Gwinny” with my list of thanks. Firstly I would like to thank any Rangers fans for still being here and not walking out at 4.30 as usual. Pause for cheers But then again, I don’t think we’re friends with any of them anyway. I would like to thank my parents, Ian and Margaret for all the help they have given me over the years, if it wasn’t for them I wouldn’t be here now. So, Helen, if it doesn’t work out you know who to blame. I would also like to thank Helen’s parents, Colin and Sandra, for making me feel like the son they never wanted, sorry the son they never had, right from day 2. Day 1 was a bit rough, but hey, they’re over it now………. ……….You are all aware of our problems over the last few years and one of my biggest worries, especially when I was “down South”, so to speak, was that my two children, Michelle and Nick would go off the rails. I’m pleased to say that they didn’t and they’ve both made us so proud of their achievements so I’d like to propose my toast to them….Michelle and Nick. ………..On behalf of Julia and myself, or should I say on behalf of my wife and me, we would like to thank everyone for coming today. Everyone has traveled in some way to be here and share this special day with us and we’re delighted to see you all. A special thank-you goes out to those of you who have traveled a greater number of miles to be here today. It’s quite humbling to realize that you’re friends and family that care so much and are willing to travel all that way to share in your special day. ………….On a serious note, I’d firstly like to say a big thank you to my new Dad Dave. I’m proud to be his son-in-law and hope I can live up to his expectations, which should be easy, compared to his other son Mick! But let us not take this Father, Son thing too seriously, as I’m not into 10-mile runs before breakfast like you were in the Paras. Both Sharon and I would like to say a huge thank you to everyone for coming here today and sharing this special occasion with us. Especially those who brought expensive presents. Its much appreciated! Thank you to Edwin and Elsa, Margaret and Linda and many others who have traveled a long way to be here. It’s certainly a long way from Brighouse! We hope you all enjoy the day, have fun, relax and be merry……………. 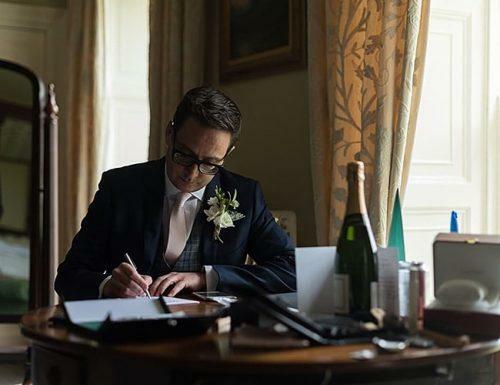 The groom speech template is the ultimate guide to giving a great groom speech at your wedding. Since there is no laid down rule on how best to construct a groom speech, a template is important. It serves as the foundation on which grooms can build their own speech without ruining it. Our best bet is a traditional groom speech template. This template covers all parameters groom need to address as they make their speech. This template is broad, yet concise. It creates space for touching all important areas without saying mundane things, forgetting others or making repetitions. The traditional template also lays emphasis on important issues while it spends less time on the mundane. This groom speech template helps you maximize your time. Helping you wrap up a great speech in record time, so you all can move to other parts of the wedding. 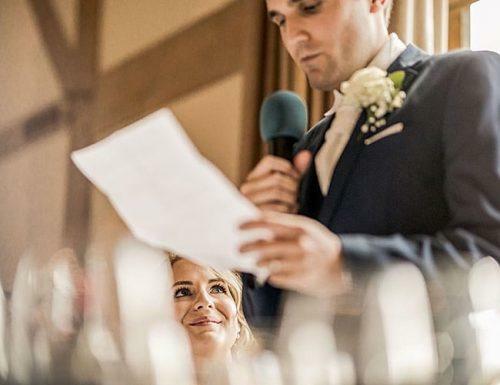 Overall, a groom speech template directs the groom right. Work with the traditional template below. The groom wedding toast is quite numerous, most of which he will give as he makes his speech. For every stage he concludes in his speech, there is a toast. A toast to the father in law, to his best man, to the bridesmaids, to the guests present and many more. The most important toast is to his wife and both of them as a couple. This is a form of honor and acknowledgment to everyone present and in his life. The groom has the choice to either make each toast while giving his wedding speech or make all at once after giving his speech. We make toasts before taking the drinks anyway. Toasts contain words of appreciation, good wishes, blessings, and hopes for the future. It comes from about everyone but for the groom, his toasts will direct to specific people. We have put down some examples of a good wedding toast. Each serves as a groom’s toast template for an easier job. A lot of grooms always get confused when trying to write a speech for their wedding. Days before the wedding, they go into a fit of panic because they know absolutely nothing to write. 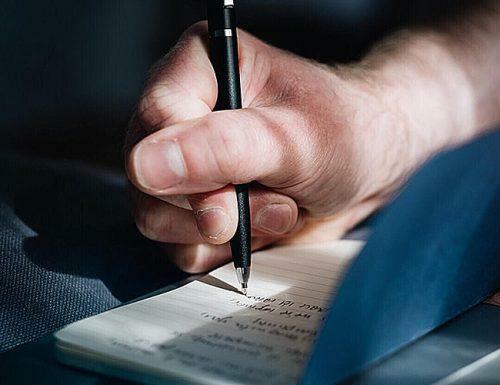 While writing such speech, you are conscious about the introduction, body, and conclusion. You want to catch the guests at the beginning of your speech, keep them interested and close off to a magnetic finishing. Other things to consider are the length of speech, speech structure, word usage and time spent. All these done in the right format will help you pull off a great groom speech. We did a lot of findings and consultation on what best obtains and captures everyone. As such, we have come up with some groom speech tips to help you shine. With these speech tips and the right emotions, your message will hit its target right in the heart. The speech tips below are simple, concise and will give answers to all your questions. Prepare your mind and calm your nerves for the speech. Run speech by your best man to sieve out off liners. Address the audience as a couple. Include your wife. Do away with vulgar words or jokes. Include the decent but minimal amount of humor. Always throw some compliments the way of your wife and make the core of your speech. Dedicate some part of your speech to your wife. She is the main focus. Make the last toast go to your wife. Make your speech heartfelt and let your personality shine through. 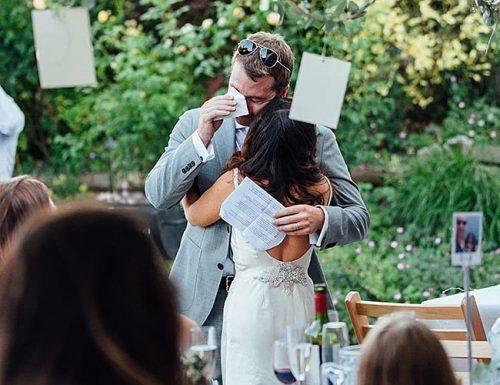 To avoid a wedding speech disaster, there are some things to do and not to do. Things that one would often times not give much thought to but they mean a lot. These dos and don’ts can make or mar your wedding day. A perfect speech will give you an unending applause from everyone. But a bad speech? The disasters are too much to mention. You will have in-laws getting pissed at you, the bridesmaids coming for your head. Your best man gunning to have you quartered and your wife preparing to give you hell. Let us not talk about the guests who may start exiting your wedding venue in their numbers. To avoid the later and all other unforeseen ills that could happen with a badly given speech, here are some dos and don’ts to the rescue. Don’t build your speech around anyone else but your wife. Do prepare and rehearse your speech ahead of your special day. Don’t include vulgar words or insensitive jokes. Don’t take too much time making your speech. 5-10 minutes is enough. Do thank your parents, in-laws, and everyone who contributed to your wedding. Don’t forget to introduce your best man and compliments the bridesmaids. Don’t forget to make your last toast to the bride. We understand that unlike the brides who get prepared to the teeth, grooms may not know steps to take. As such, writing a befitting wedding ceremony speeches may pose a challenge. We also understand that facing a crowd of people is quite a task for some, hence this article. So follow through with these guidelines and you’ll end your wedding ceremony satisfied with how you fared.